This is a card I made a while ago. 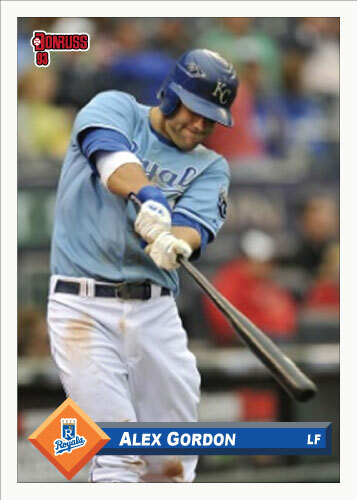 I made it the same time I created the “missing link” George Brett card from the same set. This card was made simply because I thought the picture was great. Quick thoughts on the Royals; They won today breaking a tough couple game losing streak where Soria was horrible. Billy Butler continues to hammer the ball and not get enough credit. 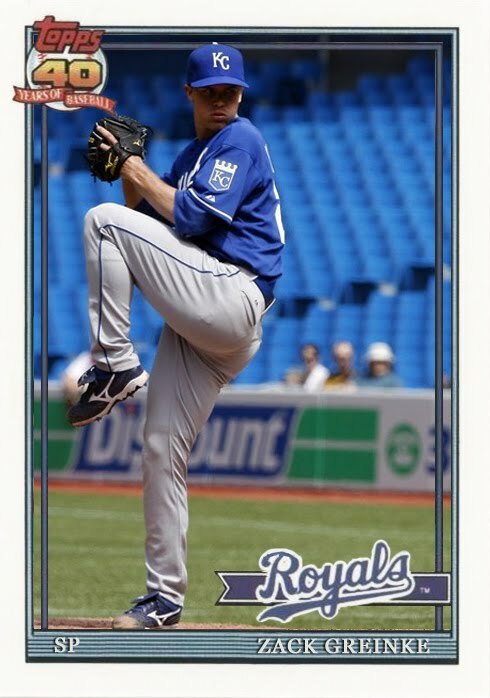 Chris Getz gave a glimpse of what the Royals hope he can be, great defensively and use his speed at the plate. Alex Gordon looks to be growing into a comfort zone in the leadoff spot. I think Gordon in the leadoff spot could be really interesting for the rest of this season. Alright, I have avoided this long enough, it is time to talk about what is wrong with Joakim Soria. 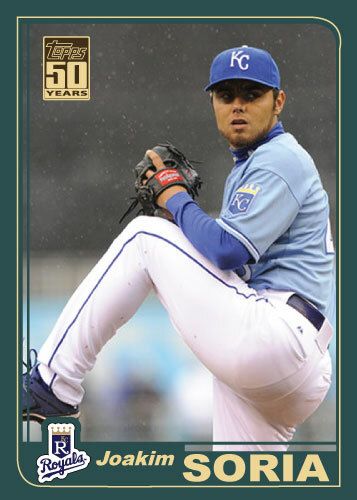 I have posted several Joakim Soria cards without really discussing his terrible year to this point. The truly sad thing is that the bullpen for the Royals has far exceeded expectations except for Soria. Aaron Crow has been so good this year that people are starting to talk about making him the closer. This is a bad idea in my opinion. Crow is the logical “backup” for Soria but I really think he needs to stay in the setup role. 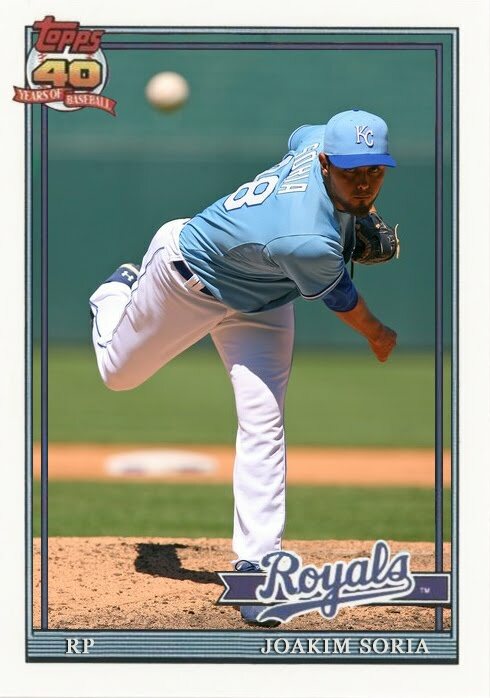 If Soria struggles through the entire season, then you can talk about making him the closer in 2012. That being said, that won’t happen. Joakim Soria is not right right now, he just isn’t and hasn’t been all year. I think it is a problem that will go off like a switch someday, hopefully soon. He will recover from this. Right now he is unreliable though. I don’t know what the Royals should do but I don’t want him to lose his role as closer. If he keeps blowing saves and losing games that the Royals have fought hard to be ahead in what else can you do? I still believe one day he will come out of the bullpen and be the Joakim Soria we all remember and we can concentrate on the Royals real problem; starting pitching. Now that is done. 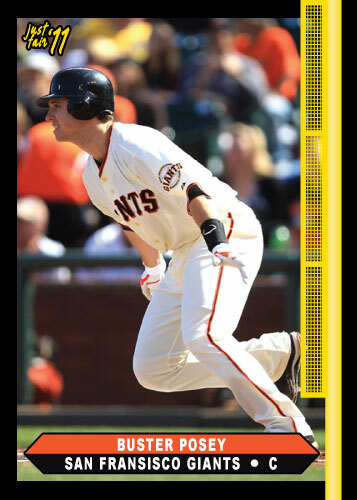 This card is from the 2001 Topps set and I really think it is a good one. The design itself is not one of my favorites but for some reason this card really works for me. I have a hard time showing gold foil many times but I think I found a good mixture for this 2001 card. The picture is from early in the season in 2009 when it was really cold and one game actually ended with the Royals closing it out while snow was falling. I believe that is the snow you can see in the background of the picture. It could be rain but if memory serves it is snow. This card added a little extra challenge in re-creating it. Topps did a “50 years” logo and I had to do it instead of the traditional Topps logo. It was much easier to do than the “40 years” logo I recently had to do for the 1991 Topps card I posted. 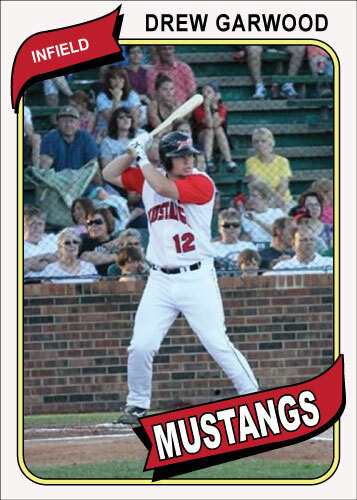 Many of the 2010 St. Joe Mustangs have moved on and a few have returned. The team had a high return rate from the 2009 team but brought back fewer players this year. Of the 29 players on Mustangs roster, only 8 players were previously Mustangs. Of those 8, only 4 were members of the inaugural season of 2009. Those 3 players are Ben Baker, Brent Seifert, Drew Garwood and Landinn Eckhart. Eckhart played in 2009 but not in 2010 when he was Matt Johnson’s bullpen coach. 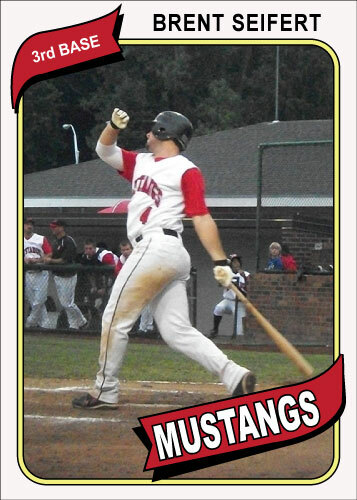 In 2010 I didn’t have a blog to put up Mustangs pictures and summaries but I did do a custom baseball card project with the Mustangs players. These never got posted during that season but I will post some now as a look back at the 2010 Mustangs. 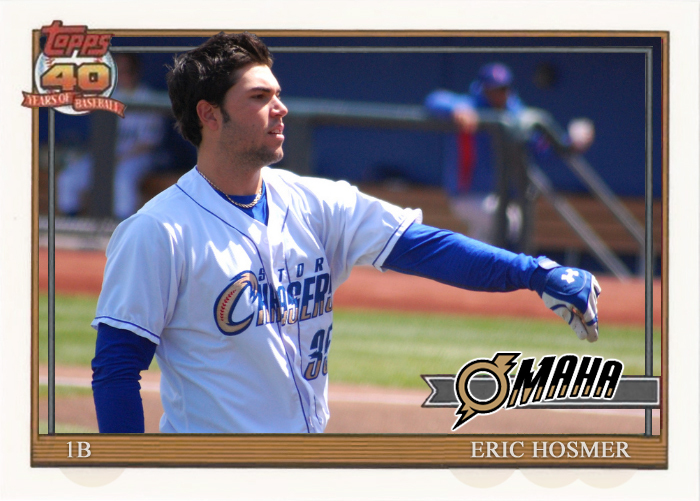 I am planning on doing another set for the 2011 season so as soon as I decide on a design for the cards I will begin to post them, most likely with my game summaries. 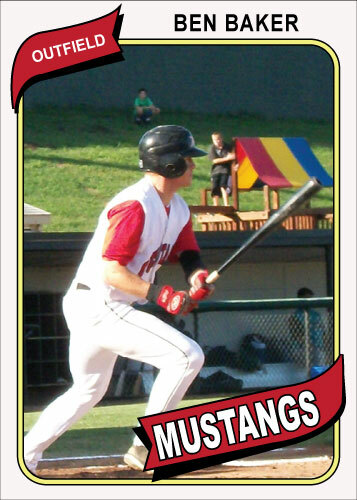 For the 2010 Mustangs custom card set I decided on the 1980 Topps baseball card design. I ended up with an 18 card set, I will post them all but here are a couple of them in honor of the Mustangs starting their official season this Wednesday at Nevada. I chose to do the 3 players that are entering their 3rd season playing for the team; Ben Baker, Brent Seifert and Drew Garwood. Most of the pictures I took myself but there were a couple I didn’t, Drew Garwood’s picture below was not taken by me, it was posted on the Mustangs facebook page and I wanted to include the local favorite in my set so I used the picture. I would be glad to give credit if anybody can direct me on who to give credit to. 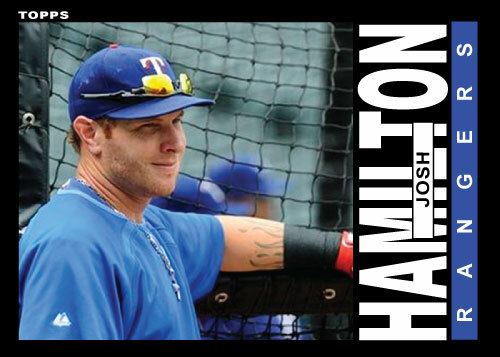 Josh Hamilton is back! This guy really changes the way the Rangers lineup looks. I saw the Ranger play in Kansas City a couple weeks ago and both Hamilton and Cruz were hurt and their lineup was not near as scary. Both are back now and Hamilton will try to drive toward another MVP season. He has won one MVP even after being injured a month, why not do it again? He can flat out hit, he is at .339 in a small sampling of games but who know what he can do playing at the Ballpark at Arlington. 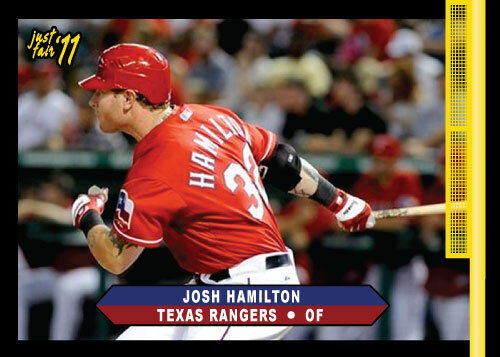 I wanted to do something different today so I went with a custom card of Hamilton and one of my Just Fair cards of Hamilton. Ironically both have black borders, not planned I promise. The custom card is not only an old design, it is a football design. This was 1985 Topps’ version of a football set. I posted a bunch of Kansas City Chiefs from this set a while back. I think it is interesting seeing the Rangers in both their blued and red uniforms side by side, they look like completely different teams. The St. Joe Mustangs improved to 3-0 on the season with a 12-3 win over Regal Plastics on Saturday. The Mustangs don’t play at home again until next Saturday the 4th against MINK south rivals, the Sadalia Bombers. I could not stay for the entire game this Saturday but I still got to see my share of action. Kris Koerper hit another long ball in the bottom of the first to give the Mustangs a lead they would not relinquish. Koerper has now hit 2 home runs on the young season an both have went the other way. The first was a moonshot down the left field line and this long ball was an absolute bomb to the deepest part of the ballpark, center field. It was slightly to the left side of center field but still appeared to fly over 400 feet. 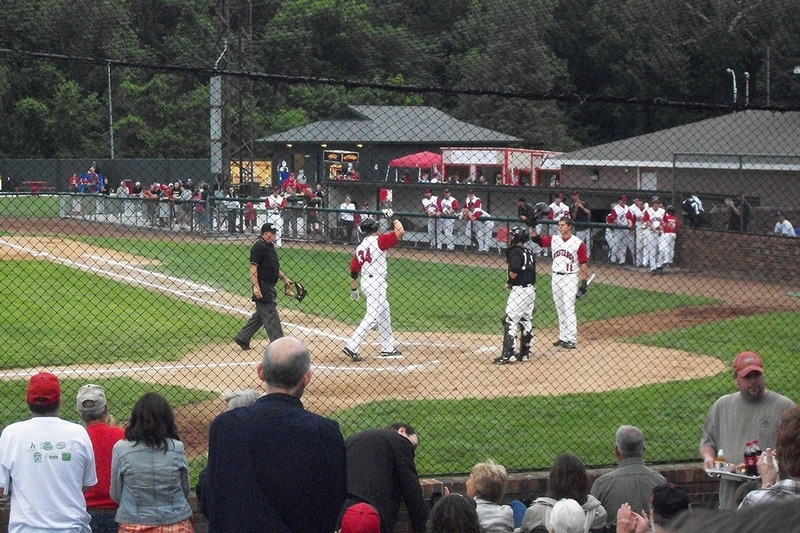 Mustangs first baseman Kris Koerper crosses home plate after hitting his second home run in two days. The shot was a solo home run in the first inning and flew 400+ feet. Ben Baker got the start for the Mustangs on the mound after starting in left field the last two nights. He struck out 6 through 5 innings while allowing 2 runs. Baker was effective on the mound but was a little wild, he walked four and let one walk score on a costly wild pitch with 2 outs in the inning. He would also impressively pick-off one his walks on first base. I know I have seen the Mustangs long-stay pitch before but I’m not sure if I had ever seen him start or not. He had the Regal Plastics over-matched for much of his time in the game except for a line drive solo home run to left field hit by catcher Michael Wasche. The Mustangs were running a lot as they have so far this year, the stolen bases in the first few innings against Regal Plastics included Landinn Eckhardt, TJ Daily, Alex Heideman, Patrick Burkhart, Jake Kretzer and even big first baseman Kris Koerper. I would like to see the team stay this aggressive and give their pitching staff good run supports throughout the year. Here is 1991 Topps, a good looking card. This is one of the many designs I never really appreciated until I tried to re-create it. This is another History of Joakim Soria project that Goose Joak has already tackled. 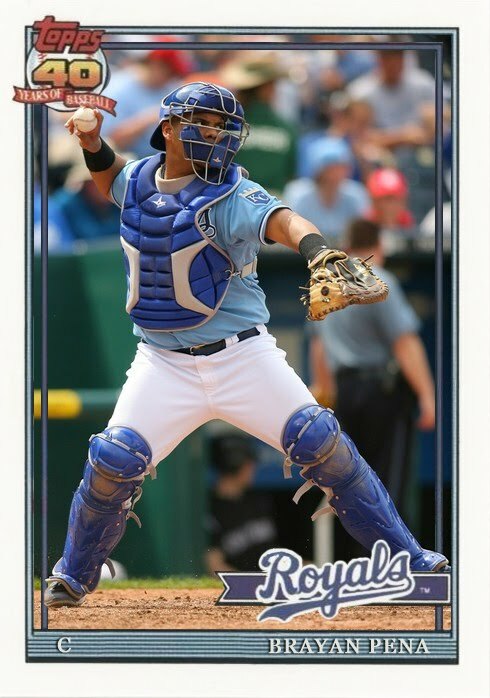 In fact he has done several of them including Brayan Pena, Mike Aviles, Zack Greinke and most recently Eric Hosmer. 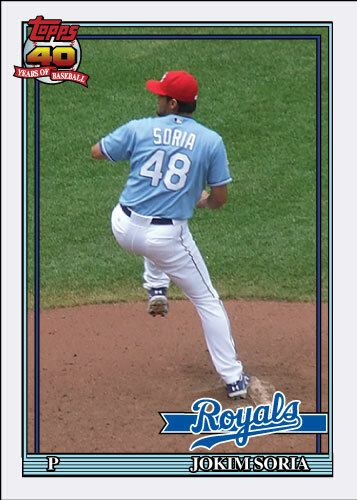 I think he has the better Soria card, I’ve got to give credit where credit is due. Look at his card here. 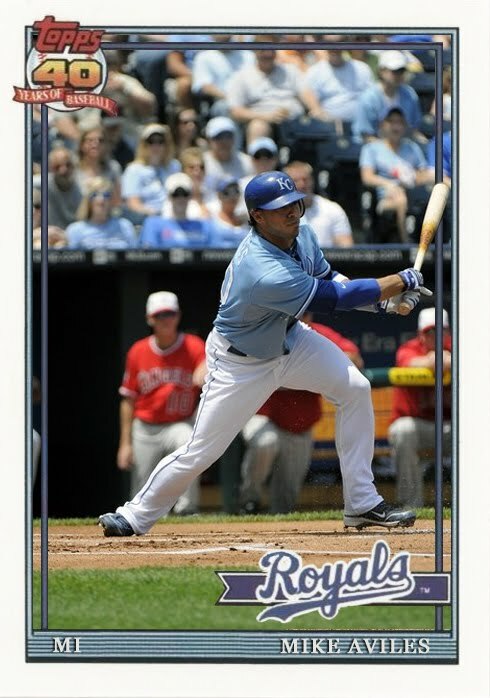 A lot of Royals stuff lately so it is time for a couple Just Fair cards to make an appearance. Here are a couple guys whose names have popped up in the sports section this week. Buster Posey got hurt in a home plate collision and may be done for the year. I chose to display him in a picture other than the collision. Wilson Valdez was the first position player to get a pitching win in a game in something like 20 years. I also chose him to not be pitching, maybe decisions like this will lead to this set having a little more of a timeless quality, probably not. One interesting thing is that this set has 2 Philadelphia Phillies second basemen in it and neither one of them is named Chase Utley. 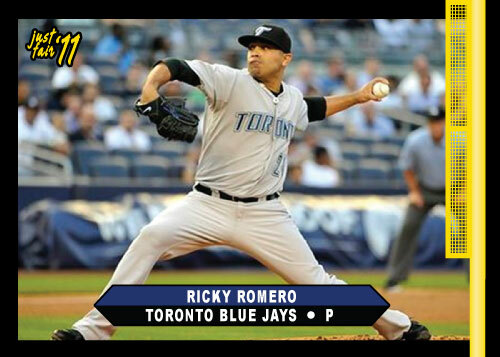 Ricky Romero is include by chance. Blue Jays get no love, they are in last but are just a couple games under .500.